April marks the anniversary of my birth. In typical fashion, I’m turning it into a month-long celebration. If you missed the first part, click here. 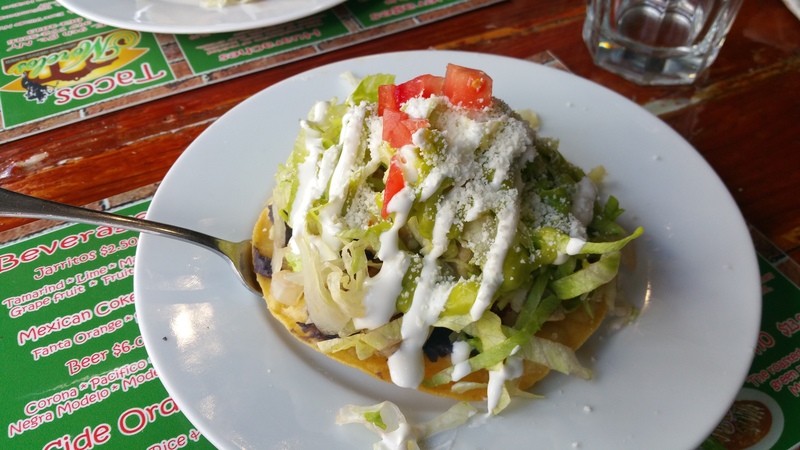 Part 2 commenced yesterday with our first annual NYC Taco Crawl, dubbed #TacoCrawl2k15 by my friend Heather. She’ll be blogging her experience over on Carbtastic, Nerdtastic. Fantastic. We were a bit too ambitious in our goal to eat at 6 different tacquerias. After 4, we had to tap out. Even then, we were pushing it. I think it’s because we made the rookie mistake of eating more than one item off the menu at our first stop. We’ll know better for next year. Here’s my list in order of least to favorite, with a few reasons why. 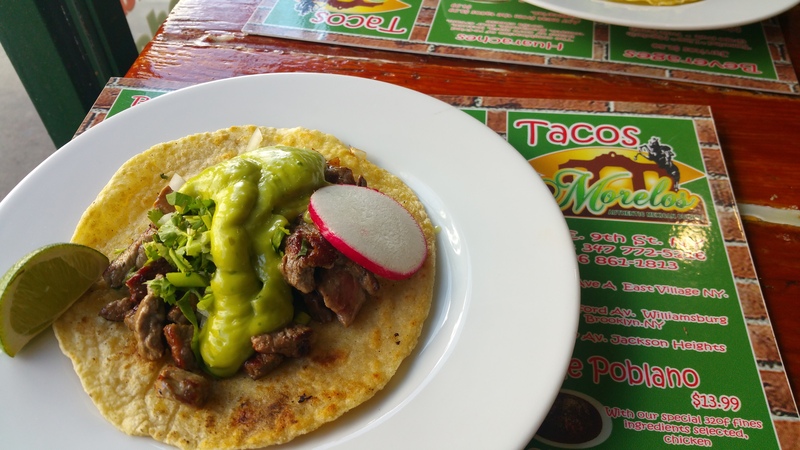 Let me know if you’ve been to any of these spots or where your favorite taco in NYC is from. I wished this tasted as good as it looked. But, overall, it lacked flavor. Even with added the sauces, it was still bland. It also loses points for store-bought tortillas. I’m not a fan of soft corn shells in the best of situations, but to serve a mass-manufactured one in this style basically sucked. I feel like I could’ve made this at home with a box of Old El Paso. What puts this above Taco Mix is flavor. 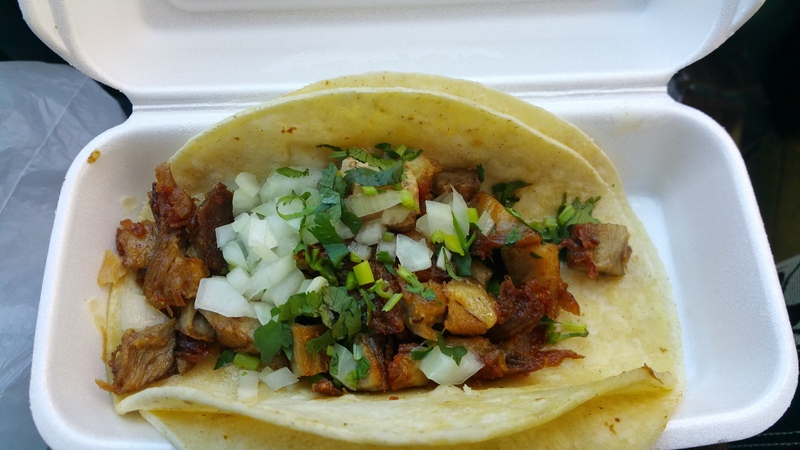 The al pastor was great: spicy without being overbearing, tender meat. They also included rice in the filling, which added another layer of flavor. The shell again loses points, but at least this time it was crunchy. I liked the added texture of that. 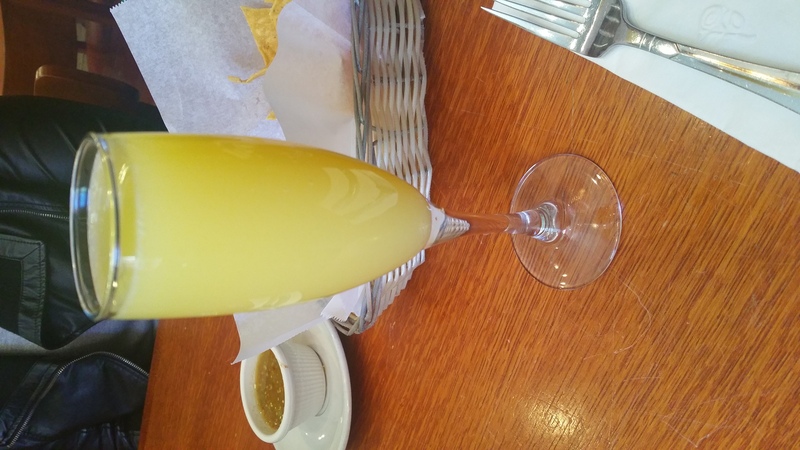 ★ ★ Bonus — Mimosas! Beef – $3.50 each if you buy 2. $4.00 for single taco. 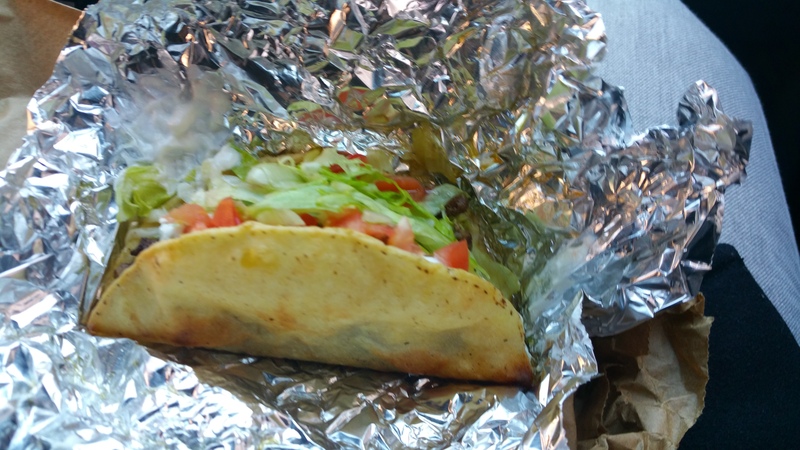 This was a delicious, greasy mess of a taco. I’m not a huge fan of sour cream, especially in this quantity, so I think that worked against it being at the top of the list. The beef was a little too spicy, which the sour cream helped to mellow out, though. But, other than spice, I didn’t get any other flavors. It was one note. They also lose points for charging 50¢ extra for a single taco than for the 2 tacos. What puts this one at the top is really the homemade tortilla. I usually hate soft corn shells, but when it’s not mass produced, it has amazing flavor and texture. It held up well with all the filling. You get a lot of meat and very creamy guacamole. They also offer the table 3 different sauces and all were great flavor additions, if a little hot. The green was my favorite. The steak was just juicy and tender. The lime, cilantro, and onion brightened up everything. Made it all feel very fresh. 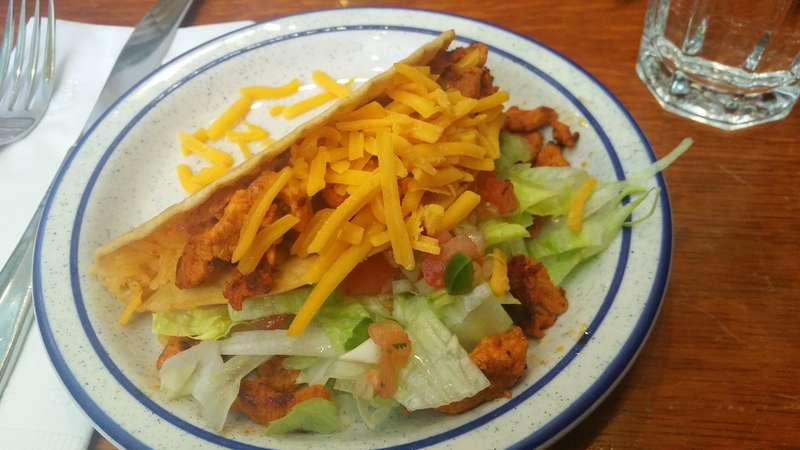 I also tried the tostada, which wasn’t as good. The chicken wasn’t nearly as tasty as the steak and it was full of so many toppings, individual flavors got lost in the mix. But, it was pretty to look at. Taco Morelos also smelled really, really good. It had our stomachs growling as soon as we walked in. It’s a hole-in-the-wall joint, so you can see right into the kitchen. The staff were super nice to us as well. So, that’s my list. can’t wait until next year to do it again. Will you join us?